THE LONG SOUGHT AFTER JEWEL OF THE WHALESBACK GROUP OF ISLANDS IS NOW AVAILABLE FOR PURCHASE. 4.9 ACRES OF BAREFOOT GRANITE, A PROTECTED HARBOUR WITH DEEP WATER DOCKAGE, EXCEPTIONAL VIEWS AND SPECTACULAR SUNSETS. 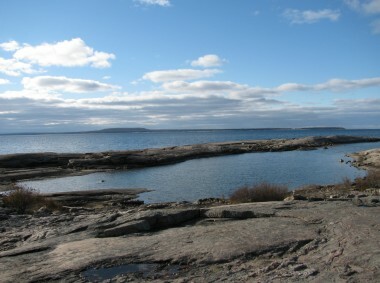 THIS IS A ONCE IN A LIFETIME OPPORTUNITY TO PURCHASE AN OUTER ISLAND IN THE EXCLUSIVE COGNASHENE AREA OF GEORGIAN BAY. THERE IS AN 800 SQ. FT. 2-BEDROOM COTTAGE WITH GRANITE FIREPLACE, AN 375 SQ. FT. GUEST CABIN WITH TWO ROOMS AND A 3 PIECE BATH, AND A SMALL BUNKIE. LOCATED 20 MINUTES BY BOAT FROM MARINAS IN HONEY HARBOUR. 1.5 HRS. FROM TORONTO, ONTARIO. OFFERS BEING TAKEN. For more information and or to buy a Cognashene – Honey Harbour Cottage such as this one please contact Rick Hill. View our Cognashene and Honey Harbour Tour Area presentations.